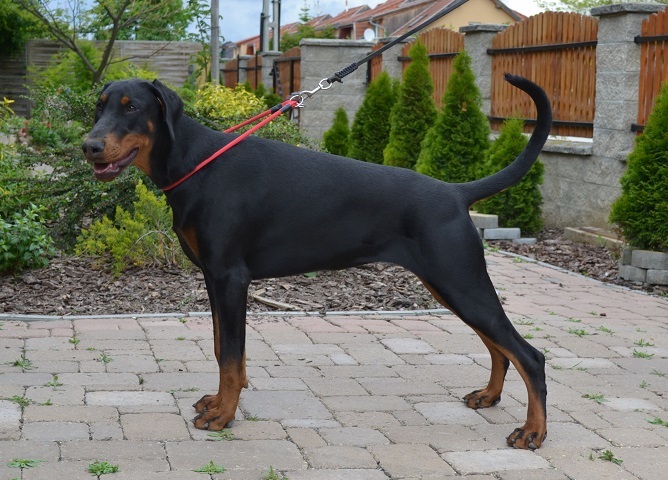 Liza is a very promissing 8,5 months old black female, She is beautiful, big, has strong bones. She has been raised as family dog, has open character and nice temperament, she is not dominant, very friendly to people, children and other dogs. With FCI-Pedigree, EU-Passport, fully vaccinated, dewormed, microchipped. Shipping is possible to any country.